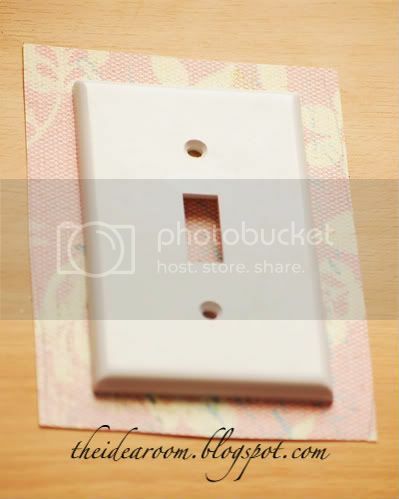 My sister’s kids were each given one of these light switch covers for their birthdays from their church leaders. Aren’t they so cute? They are to help the kids remember to say their bedtime prayers if they haven’t already before they turn out the lights to go to sleep. It is vinyl lettering placed on a light switch cover. 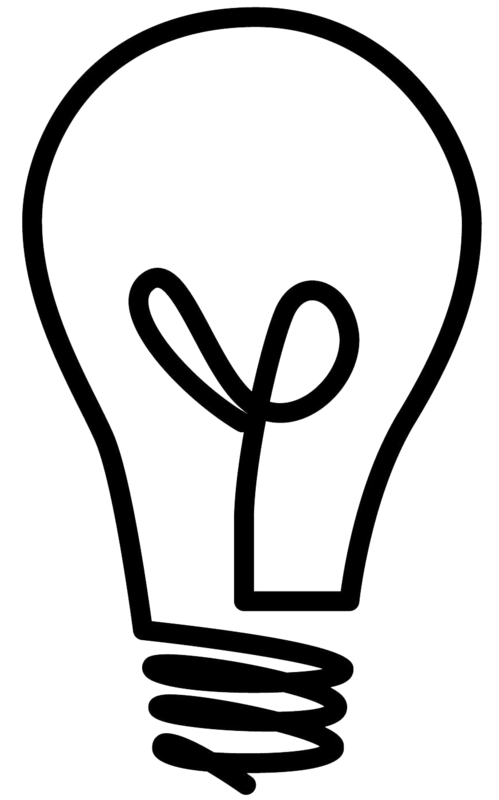 So if you know anyone who sells vinyl lettering, you could custom order some, or use rub on scrap-book lettering and cut out a silhouete on black cardstock and modge podge onto the switch cover. 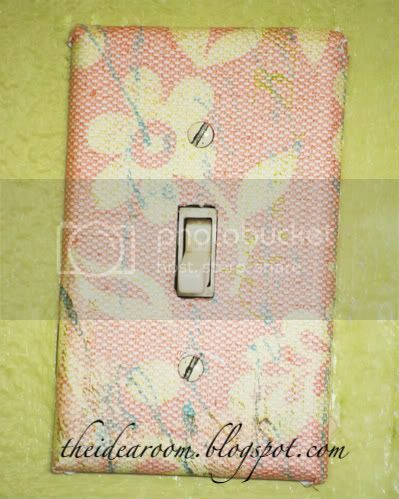 For my daughter’s room, I covered her light switch cover with the same scrap book paper that I used to cover her letter initial on a previous post here. All you need is a switch cover, scrapbook paper and modge podge. I cut the scrapbook paper so that it was about 1 inch larger all around the cover. Cut out the hole for the light switch. Cover the switch cover with modge podge and cover with the paper. Smooth out any wrinkles. Cut diagonally into the corner of the paper to the switch cover. 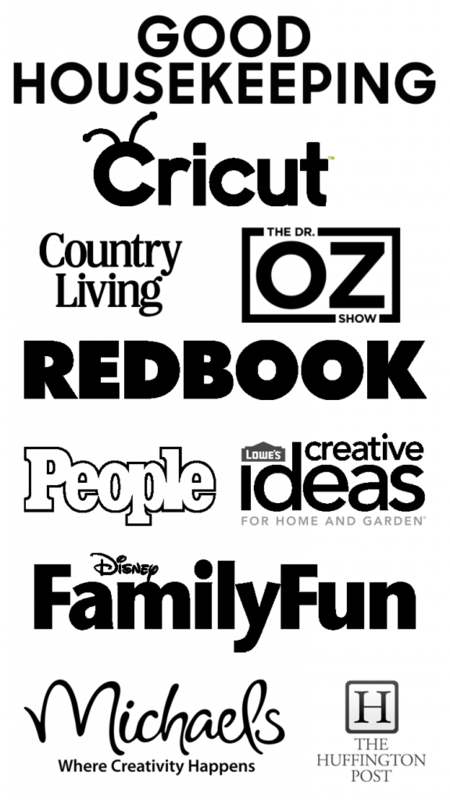 Fold over the other side of the cover so that it lays neat and flat. That all there is to it. I love how the cover adds some color and how it stands out against her walls that are painted green. 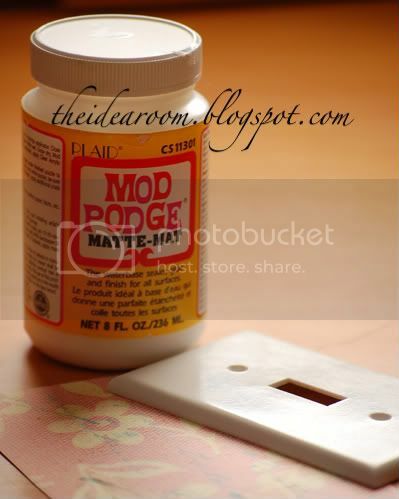 Great idea for kids… I use to paint my kids light switches to match their room decor. Thanks for sharing this cute idea of remembrance for kids.. 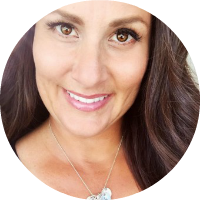 I just found your blog and am loving all the ideas. 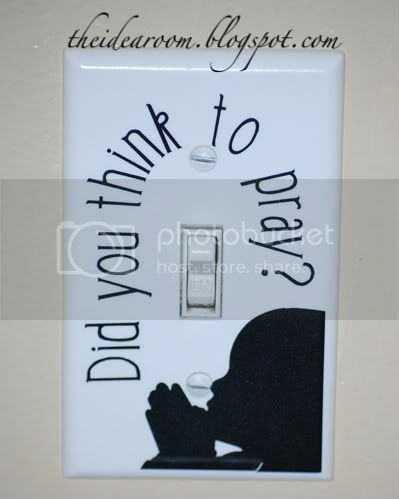 I especially love the did you think to pray switch plate cover – thanks for sharing it.